The West Midlands Bus Alliance has been renewed, after its members gathered for the signing at the Coach & Bus UK Show at the NEC. The alliance aims to build on the success of its first two years and ensure further commitment from its partners towards enhancements to the bus network across the region up to 2020. 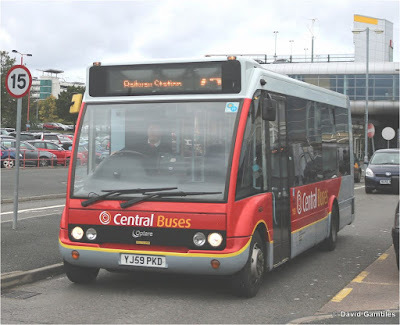 Cllr Roger Lawrence, Lead Member for Transport for the West Midlands Combined Authority (WMCA) said: “Four out of five public transport journeys made here are by bus – that’s an enormous number of people. “The bus network is of fundamental importance to this region, which is why continuing investment in the network by ourselves and operators is so important. “In doing so, we will enable people to go about their lives supporting and contributing to the local economy and creating a vibrant and integrated region. Make it more pleasant to travel by bus. The West Midlands Bus Alliance was the first of its kind in the UK when launched in 2015. It consists of Mayor of the West Midlands Andy Street, Transport for West Midlands (the transport arm of the WMCA), the Safer Travel Partnership, watchdog bodies Transport Focus and the Confederation of Passenger Transport, local highways authorities and local bus operators including National Express West Midlands (NXWM), Stagecoach Midlands and Central Buses. Since its launch, the Alliance has overseen £7.3m invested in highways schemes to improve bus journey times, 570 new and refurbished buses, £3.5m of successful funding bids to improve vehicle emission standards, more than £1m of funding committed by the WMCA to assist contracted operators to provide cleaner vehicles on subsidised services and £550,000 of investment from the owners of Merry Hill shopping centre Intu, to modernise the bus station.